Apex, NC — Many nonprofit organizations and government agencies are on the island of Puerto Rico helping with recovery, but private companies are pitching in as well, including a global security and risk-management company based in Apex. Three weeks after Hurricane Maria hit Puerto Rico, the devastation is still clear. The lack of communication is what brought Fricks to the island. He managed a team with TigerSwan whose mission was to track down people who hadn’t been heard from since the storm hit. “A lot of it was going door to door, being like ‘Hey, do you know these people? This is their address and there’s no one here,’” Fricks explained. TigerSwan teams were armed with names and addresses given to them by employers and relatives in the United States. They worked with Puerto Rican natives to help track down the right people. He said many people were so excited, they asked the group to take their pictures as proof that they were OK.
“In some of those instances, we were able to provide generators, water, figure out ‘do you have medical needs,’” Fricks said. In total, TigerSwan tracked down close to 100 missing people. Fricks called the two-week mission rewarding and said that while the infrastructure will take years to restore, he believes the human spirit is standing strong. “You also saw a lot of resilience. You saw people saying ‘This is tough, I’m scared, but I’m going to provide for my family and figure it out,’” he said. 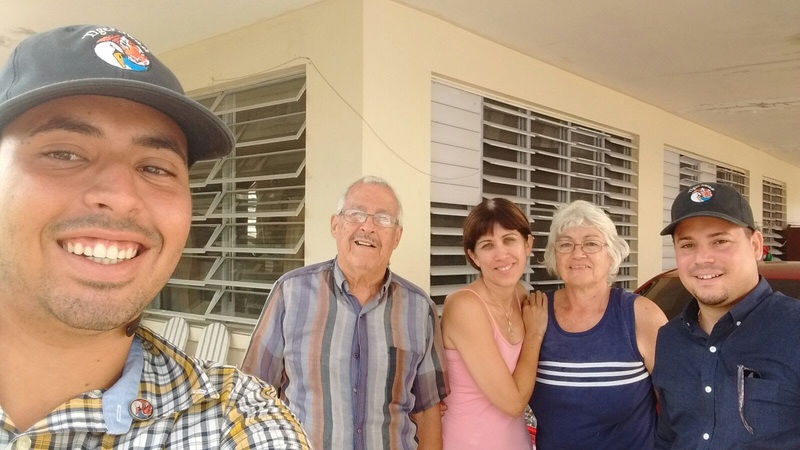 TigerSwan’s team remains in place in Puerto Rico and is working with the people they located to identify their needs and develop a long-term plan to sustain them on the island.